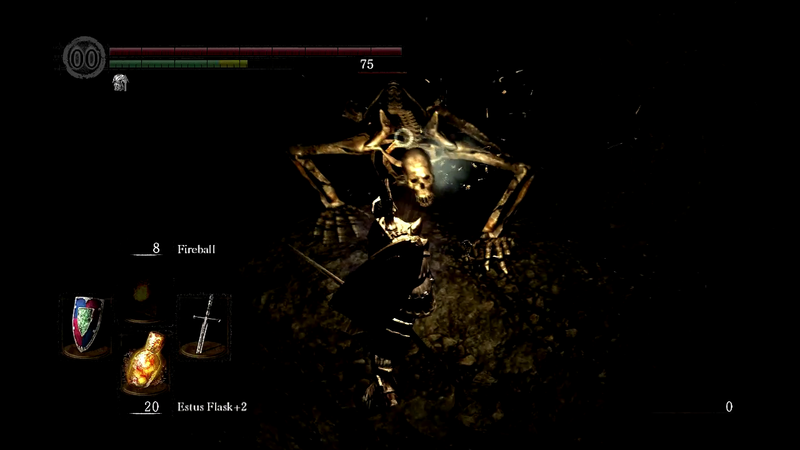 Dark Souls is a well-designed gem. I purchased Demon’s Souls in the summer of 2010 after hearing about how much people enjoyed it. That was the summer before I started college. I played it for about an hour until I got stuck at the first boss. I never played Demon’s Souls again until a few years later. Fast forward to fall 2011. A week after my birthday, I went and picked up Dark Souls. It was my birthday gift to myself. Thinking back on it, why would I buy the spiritual successor to a game I could barely get past the beginning of? When Dark Souls first released, I wanted to love it. I enjoy dark fantasy settings. The feeling of being outnumbered and having to get better after each death really appealed to me. 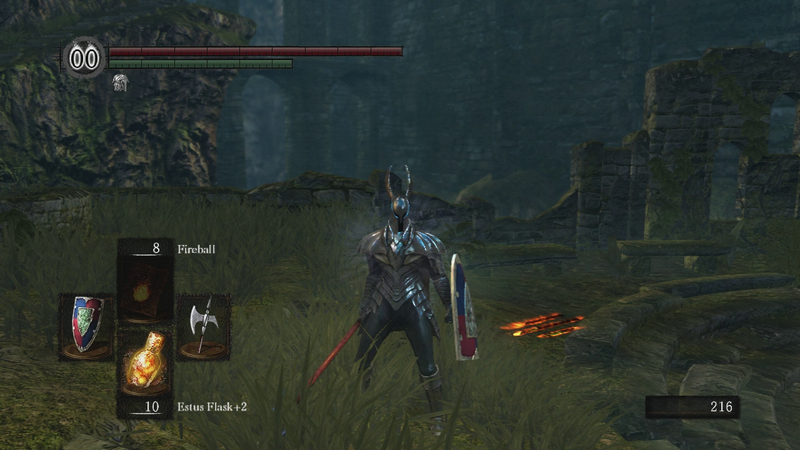 However, like Demon’s Souls, I played Dark Souls until the first boss in the Undead Burg. I could not for the life of me beat that boss. I never touched Dark Souls again until early 2014. During the time between when I stopped playing Dark Souls and started over, the game only grew in popularity. From the PC release with mod support to videos about the lore to speed runs Dark Souls seemed to grow in popularity. I finally decided to give the game another try, as I started to feel like I missed The Whole Point when I first played it. This time around I was equipped with detailed wikis, boss guides for when I got stuck, and a better understanding of the game’s systems. This time it clicked. I played the game for 30 hours and got my character to a level in the 70s. I really enjoyed chipping away at the game every day. However, in March 2014 I stopped playing the game due to moving and no longer having a television or monitor to play on. Fast forward to now, December 2015, where I have a monitor again to play the game on. I still had my save from March 2014, and my memories of the game had not yet been completely forgotten. I loaded the save and was in Anor Londo. I had placed the Lordvessel. After some exploring and figuring out where to go next, I was back in it. Yesterday, I finally finished the game. It took me four years to beat Dark Souls. I have never stuck with a game that long. I am glad I did. Dark Souls is the most refreshing game I have played in a long time. It is not overwhelming in its story exposition, and it teaches how to play through great level design. Dark Souls has a depth that continues into the late game that few games do. The way Lordran is a cohesive and connected world makes exploring it more enjoyable than a game where the map is simply a sprawled out landmass. In Lordran, there is depth and height. From The Catacombs to Sen’s Fortress, there are few areas alike. Exploring Lordran was a highlight of the game for me. When it clicks how an area is connected to another part of Lordran, one realizes how well designed the game is. 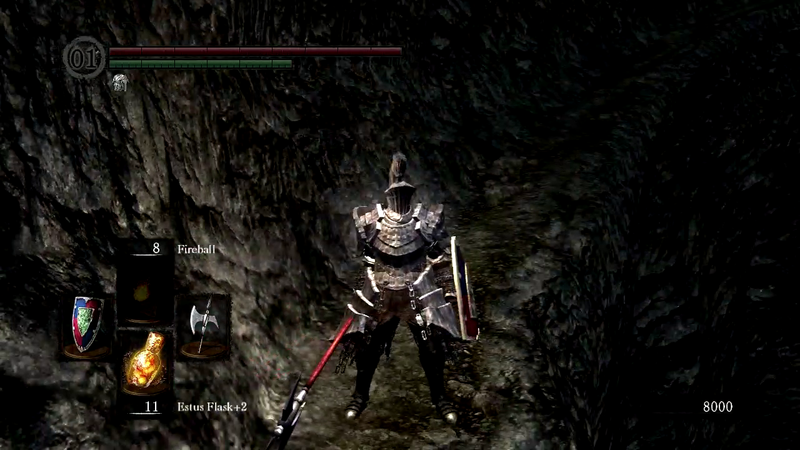 The combat of Dark Souls is a bit different than most action RPGs. Wieldable items, like sword, bows, and shields, are equipped in the left and right hands of the player. The left and right shoulder buttons and triggers are used for light and heavy attacks for each hand respectively. This took me a bit of time to get used to as most action RPGs use face buttons to attack. After playing the game for 40 hours, I think the controls for combat are solid. Moving feels good, and when you are in the thick of it, rarely do the controls get in the way. Face-offs with enemies, whether they are bosses or respawning creatures, feel tense and require strategy. Rarely does rushing in and spamming the attack button work. Strategies like turtling with a shield until the enemy opens up or rolling out of the way and backstabbing the enemy are much more successful. Also, just running past enemies is a totally valid approach. A major highlight of the game for me were the boss battles. Almost every area of the game ends with a boss battle, and they all require different tactics to win. The boss designs are incredible. From the detailed horrific monsters to a giant wolf, I loved the feeling of entering the fog gate and facing off against a new boss. I truly cannot think of a game that has such memorable boss fights. If the boss designs are incredible, then the non-boss designs are just as incredible. In each area, the enemies are fitting and creative. Rotting rats, giant oysters with legs, hovering statues that spit flames. The list goes on and on. 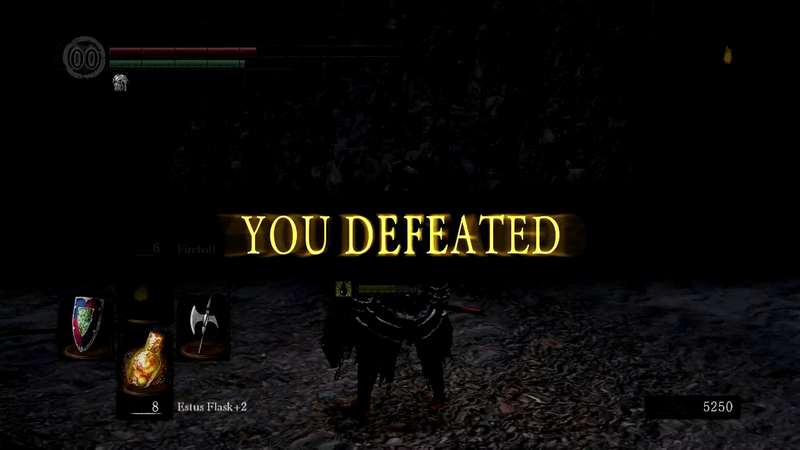 Each new area of Lordran has new enemies that have a unique move set and require their own strategy. As you die and try again, you learn a little bit about the enemies’ move sets each time. Once the move set is mastered, killing the enemies becomes a breeze. It can be shocking how an hour ago you were killed almost instantly by an enemy. Now you dodge roll behind and take it out in one attack. Dark Souls taught me patience. Death is not the end in Dark Souls. It is a lesson. A lesson in learning how the world works. How the enemies think. No matter how many times I died, I kept moving forward, a bonfire at a time. To me, that is the hook of Dark Souls. It is about taking small steps, learning, thinking, and being patient. It is not about running in, guns blazing and beating the game in one sitting. The music in Dark Souls is wonderfully composed. The boss themes can be fast paced and intense or melancholy. At times, there is no music and just footsteps. It all works so well. My favorite song from the game is Gwyn, Lord of Cinder. The end of the game, which I will not spoil, is very fitting. It does not have some long cutscene or explanation of everything that happened. It fits into the narrative of the game, and it leaves a lot up to you, the player, as to what you think it means. Dark Souls, four years after its release, holds up incredibly well. It has great design, all around, and if you are looking for something that is refreshing and challenging, there is no game I would suggest other than Dark Souls.